How To Unclutter Your Office (and Enjoy It!) - Renshi Consulting Group Ltd. According to a survey, the average worker spends 22 minutes every day looking for documents. This is because their desk and office is cluttered and papers are in piles instead of being filed. While some may argue that clutter makes you more creative, it actually negatively impacts your productivity. Clutter makes you stressed and distracted. You can get exhausted by trying to divert your attention from clutter to get focused on work. It wears your mental resources down and makes you frustrated. “Science is organized knowledge. Wisdom is organized life.” Immanuel Kant via bqotd.com Organizing and de-cluttering your office will make you efficient and give you peace of mind. and a number three for things to discard. Now, go to your office. Start with the items labeled number three. Collect them, throw them in the garbage, or put them in a box to donate to a thrift store or recycle. Have no mercy. Get rid of those dying plants. Their near death state is depressing and adds visual clutter. Reduce the number of pictures on you walls and desk. Do away with unnecessary knick-knacks. Gather the number two items and distribute them to the places where they can be kept. Give them to co-workers or take them home. For items numbered one, determine how to organize them. Purchase hanging file folders, label them, and file every paper away. Get a filing cabinet or storage boxes to hold the hanging file folders. Label the drawers. Do not let papers stack up on your desktop. Ever. Designate a file folder or a tray as your inbox. Put all incoming papers there. Be sure to review it regularly and file or discard papers. If you have a cell phone, eliminate your landline. A cell phone with Line2 doesn’t have cords or take up much desktop space. Purchase desk caddies to hold pens, sticky note pads, paper clips, and scissors. For a clean desk top, get organizers for desk drawers instead. Get a large wall calendar for scheduling appointments and reminders. This eliminates scraps of paper and sticky notes scattered on your desk. Thin out your bookshelf. Donate unwanted books to a thrift store (or sell on eBay). Put the unwanted books in a box in the trunk of your car and drop them off when doing errands. Organize your computer cables so they aren’t jumbled. Get a cable zipper that gathers cords into flexible plastic tubing. Or wind the cables around the clever Large Cable Turtle by Resource International. Both items work wonders and are inexpensive. Getting rid of that visual clutter makes your office feel cleaner. Put labels near the plug heads of your cords so you know which cord goes to your printer, the computer, and other peripherals. Get an arm to mount your LCD monitor to the wall. This will give you more desktop space. Look at Mpix for ideas on how to turn your digital pictures into wall decor easily and affordably. In-office light can make you more productive. 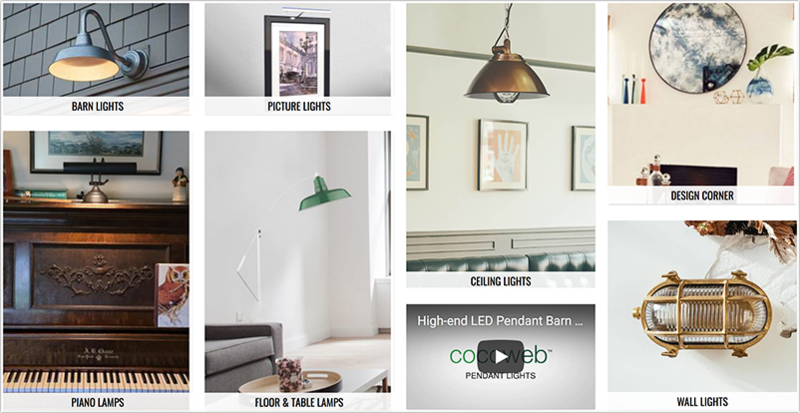 Look at Cocoweb for a big selection of LED lighting ideas. Ergonomics aims at improving comfort and efficiency in a work place. There are several brands that you may want to check out, Humanscale being one of them. Your digital workplace is just as important as your physical one. These days our digital life is so hard to organize, with social media networks and instant messaging tools distracting our attention and cluttering our attention. Try Cyfe to keep everything in one place and have one destination for all types of your digital activity, including email, social media networking, invoicing, stats monitoring, etc. 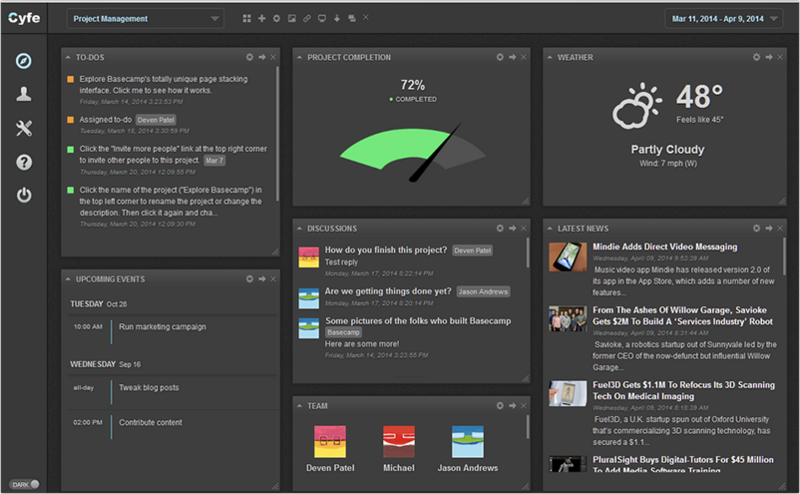 Here are many more business productivity tools to get you organized too. Remember, a cluttered office is a sign of a cluttered life. Have a place for everything. Subscribe To Renshi's Operational Cost Improvement Blog. Jessy Troy is a blogger behind Do It Yourself Gadgets, a 5-year old blog encouraging people to start an eco-friendly lifestyle.